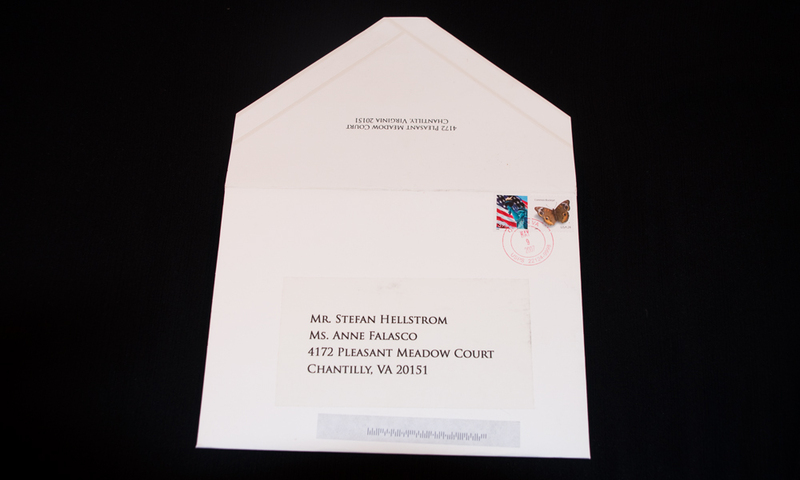 Most brides get excited about flowers, or the dress, or the menu. 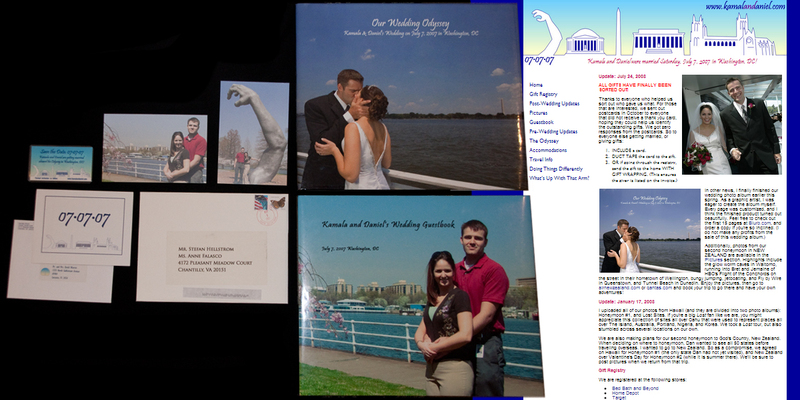 I was most excited about the opportunity to do exactly what I wanted with the invitations, guestbook, and other such graphic elements. I created Save the Date magnets, along with custom cards and mailing labels to give the guests an idea of what to expect. 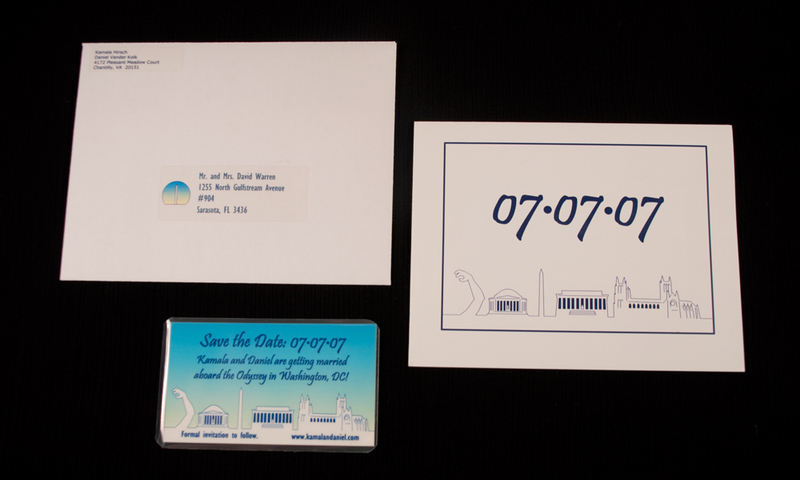 And making the date, along with icons of historic Washington, D.C. landmarks visible from our venue made it pretty clear what to expect, and when. 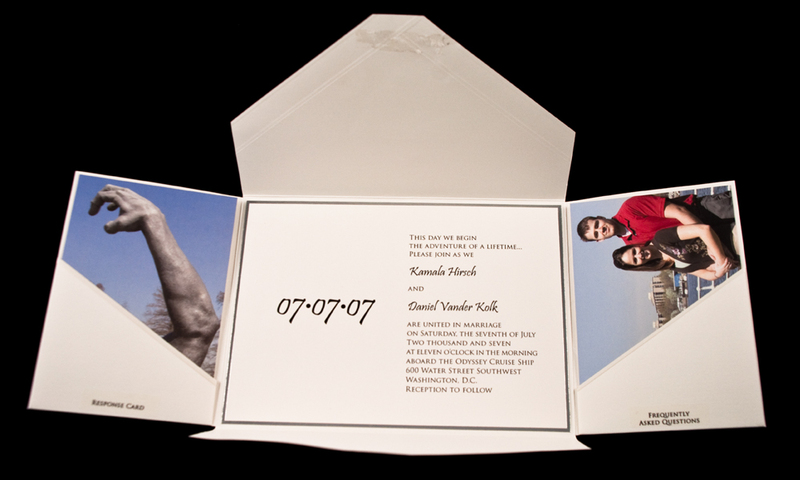 Then I worked with a printing vendor to create the exact invitation package I had envisioned. 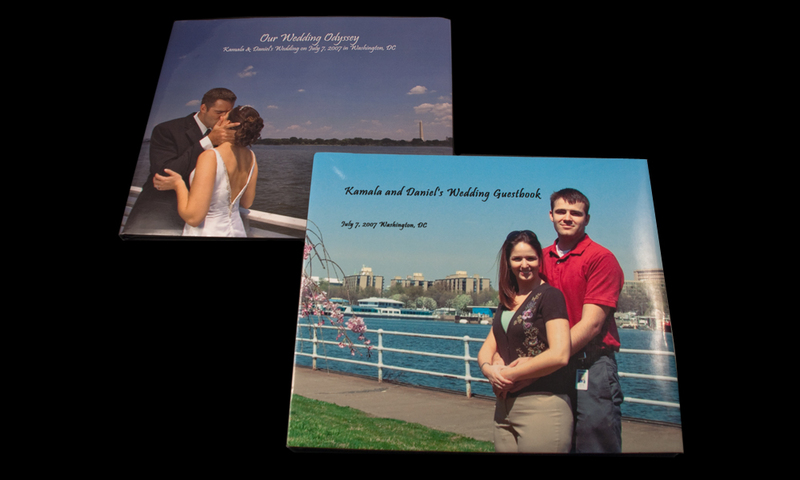 I continued the brand, and continued to hint at what the guests would expect with postcards featuring photos of the venue as well as one of the most distinguished landmarks along the Potomac River (“The Awakening,” now located at the National Harbor). 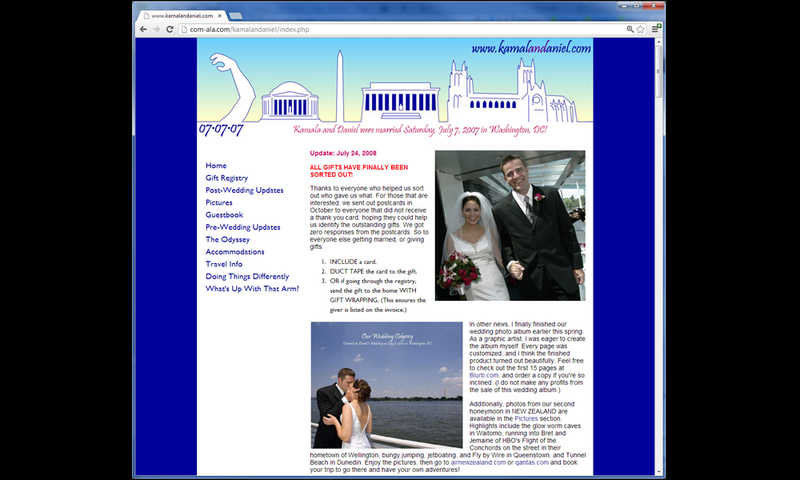 As a web designer, I decided to make my own wedding website for all the information that didn’t belong in the invitation, rather than use a stock template, continuing the colors, fonts, and logo of the event. Even the URL, www.kamalandaniel.com (now expired) was easy to remember. 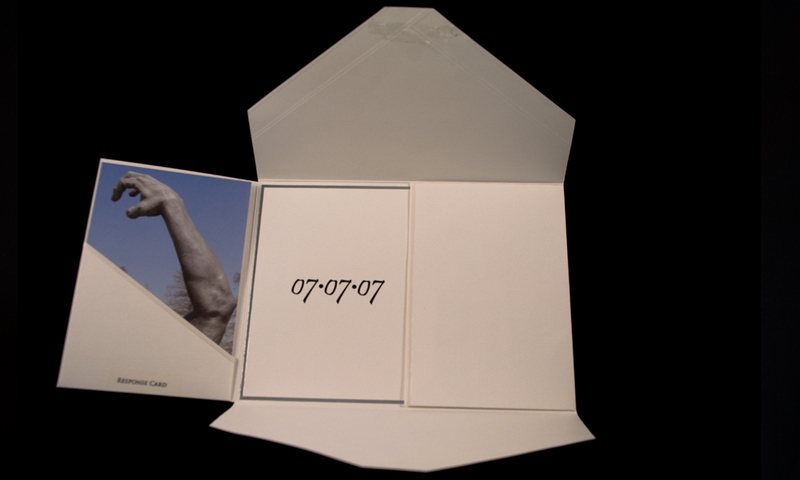 Earlier in the year I had discovered a new company, Blurb, that made custom books, using their free desktop publishing software, BookSmart. I created our guestbook in a yearbook style, filled with photos of my husband and myself from birth all the way to our engagement. Few people had ever seen anything of the sort before.